Mustamäe Keskus, located in Tallinn, Mustamäe is one of the biggest shopping malls in that region. We have been co-operating with them for long-term and supported their web solutions. 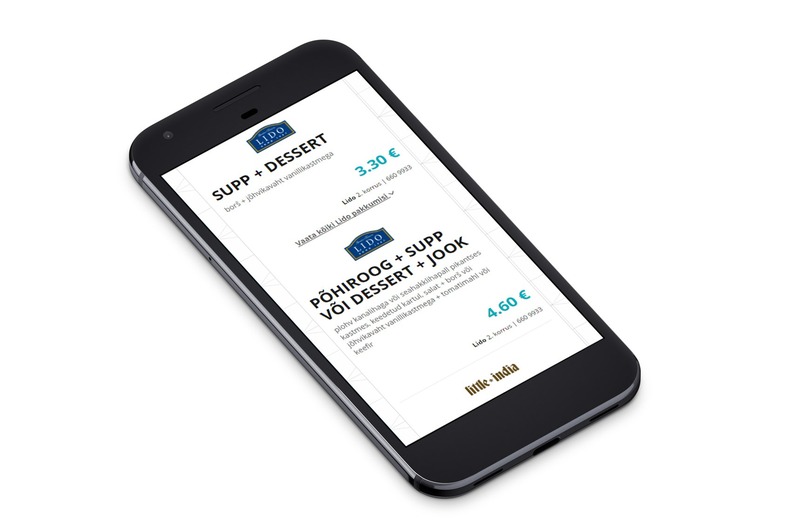 The main goal of the project was to offer a quick and easy overview of lunch offers from different providers in the centre. To achieve that, we designed and developed a solution that enables customers to get that information from the web and Facebook app via smart device or desktop. The custom web application emphasizes easy and great user experience. 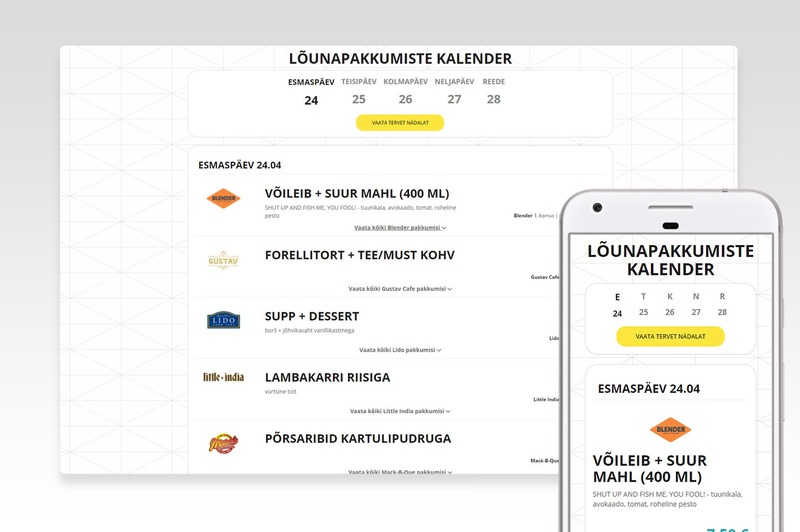 Daily lunch offers are automatically displayed under each provider by using day or week filtering. As a result, a web application, where changing lunch offers are shown in an easy and quick manner, was born. Its the same with having that lunch – quick and easy.